The year is 1980. We are at the oldest living tattooed lady’s final performance at a cheap, derelict sideshow in Kansas. Artoria shares the stories and songs behind each of her tattoos, recalling the golden age of freak show and her quest for self-actualization. 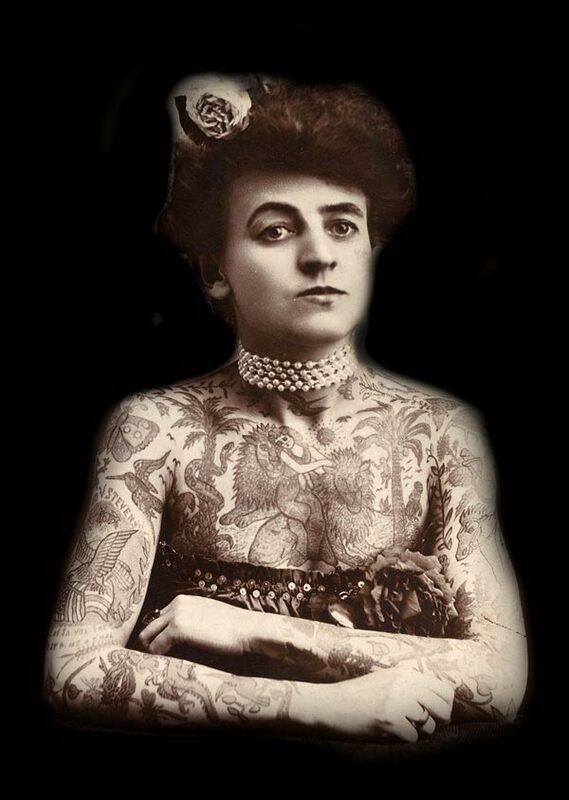 Interwoven into Artoria’s narrative are the tales of Nora Hildebrandt, the first tattooed lady, and Maud Wagner, the first female American tattoo artist. 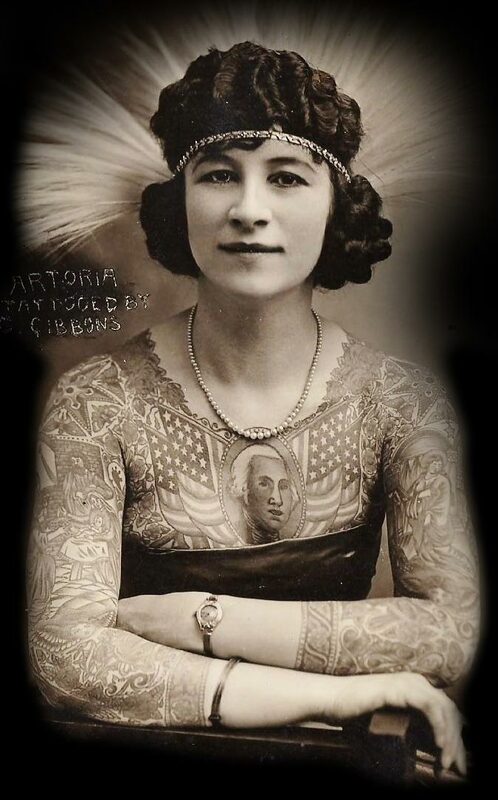 Spanning roughly one hundred years of forgotten history, The Tattooed Lady is a musical meditation on beauty, perversity, shattering of taboos, and a woman’s right to control her body and choose her destiny. The score for The Tattooed Lady will be composed primarily on saw, wine glass, pipe organ, vibraphone, cello, accordion, and toy piano, evoking a carnivalesque world that is child-like, whimsical, and haunting. The visual landscape of the play will endeavor to translate the intimate (a viper tattoo on a woman’s knee) into the epic (a ten foot tall puppet viper taking over the stage).